Freak weather conditions and industrial action in Europe have combined this week to highlight what can go wrong on holiday. 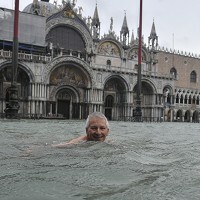 Firstly, in Venice, heavy rain and seas whipped up by strong winds have flooded the famous Italian tourist city. Sunday's high tide mark of 59.06 inches (150cm) was its sixth-highest level since records began in 1872, according to the Ansa News agency. Elsewhere in Northern and central Italy, the same weather system that put 70% of central Venice under water this week, was also wreaking havoc, with hard-hit Tuscany seeing 200 people evacuated from their homes. Although flooding is common in Venice at this time of year, the need for securing adequate travel insurance is perfectly illustrated by these stories of weather conditions across the Italian regions that aren't always predicted or adequately researched before travel. Other issues affecting European travel this week have occurred in Belgium, where rail unions have called a second 24-hour strike in six weeks. Train traffic throughout the country and the high-speed service between London and Paris are expected to be seriously hampered on Wednesday. Warnings of disruptions have come from both the national railway company and the Thalys European high-speed service. Industrial action also paralysed train traffic six weeks ago, when both the Thalys lines from Paris and the Eurostar from London had to interrupt their services.